It can be difficult for consumers wishing to make kind purchases. Branding on products will never state that a product or ingredients have been animal-tested, and these days, with clever wording it can be difficult for consumers to read between the lines. It doesn’t matter what a brand says, it is what they will prove when it comes to animal testing. This is why there is the free, Beauty Without Cruelty (BWC) humane guide, a list of brands which have proven their humane status according to a strict set of criteria, to BWC, a recognised authority able to audit and endorse the humane claims of personal care, cosmetics and household cleaners. VEGAN APPROVED GUIDE A list of brands approved by BWC which are also vegan. Beauty Without Cruelty has almost 60 brands on the complete list, meaning several hundred products, and is currently in the process of auditing an international brand soon to be available in South Africa. There is something for every pocket and need, from inexpensive brands found at national chain stores, everything from sun-block to shampoo, toothpaste to toilet cleaner. If one wishes to use products which have been safety tested using modern technology, using the full approved list found makes life easy, especially as a new App will soon be available, enabling consumers to have all the information they need wherever they are. There is no need to use anything which will have blistered, blinded or poisoned animals, when there are fantastic approved options available! Our approved list of products is known as a *humane guide, for short. It is focussed on the issue of ANIMAL TESTING Our requirements for the approved guide are in line with, and exceed, international standards. SILK PROTEIN, which may appear as an ingredient in some products is certified moth friendly and therefore allowed. Beauty Without Cruelty does not charge anything, ever, to be audited, endorsed, or for the use of the logo once a user agreement has been signed. 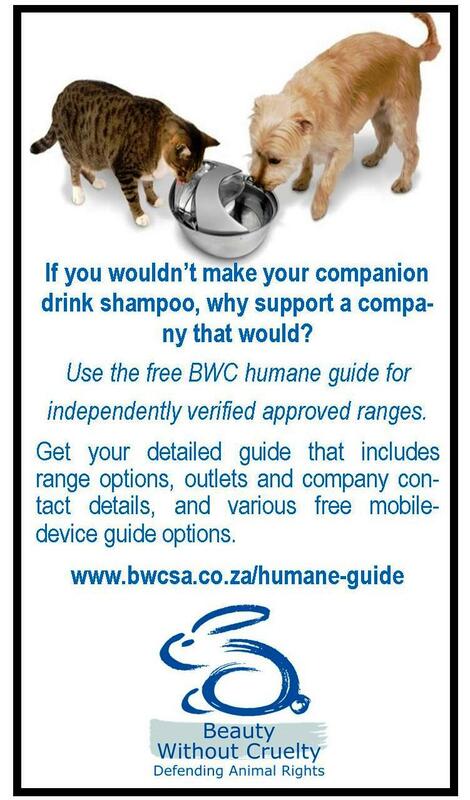 Therefore, there is no excuse for any South African brand not to be endorsed by BWC if they make animal friendly claims. Seeing a note on a label stating no animal testing or against animal testing and or a bunny means nothing if it is not on the list, as companies have been known to fraudulently make these claims. THE LEAPING BUNNY LIST of international brands on SA shelves. While Leaping Bunny does include companies with ‘unacceptable’ parent companies or subsidiaries, it is considered the international standard and so we offer this list as a service, to make things easier for local consumers. 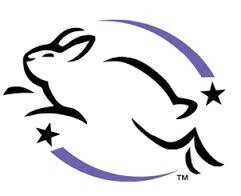 NOTE: The Coalition for Consumer Information on Cosmetics’ (CCIC) Leaping Bunny Program administers a cruelty-free standard and the internationally recognized Leaping Bunny Logo for companies producing cosmetics and household products. The Leaping Bunny Program provides assurance that no animal testing is currently used in any phase of product development by the company, its laboratories, or suppliers. Their requirements do not apply to holding companies or subsidiaries, as BWC demands. They also do not question any ingredient origin, therefore brands may include animal parts. BWC provides a list of these products available in South Africa as a service to consumers as an addition to the BWC endorsed list of products. This does not presume that we endorse or agree that the companies on the list are completely acceptable. Do not be fooled by labelling that says things like ‘against animal testing’ or ‘not tested on animals’ as this is often a marketing ploy. See the BWC approved list of products in South Africa.It does not matter what a webiste, label or salesperson says, it is what is proven through independent third party verification. BWC is a recognised authority able to audit and provide endorsement.